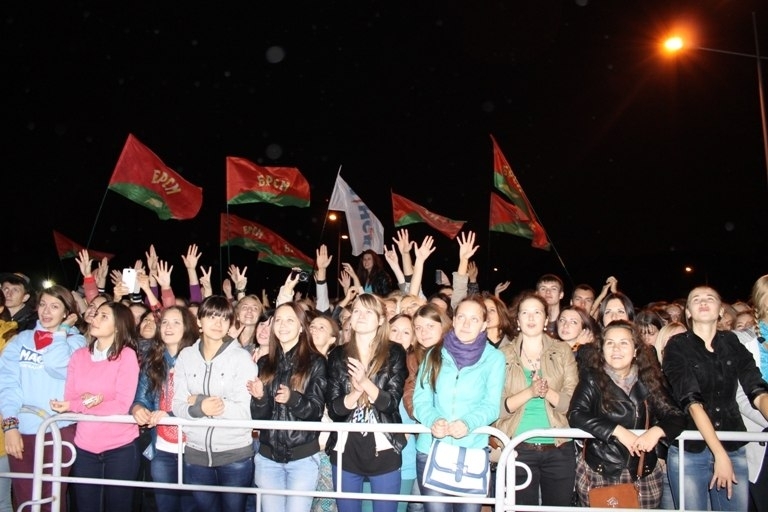 However, in Belarus Okean Elzy does not face any restrictions so far. 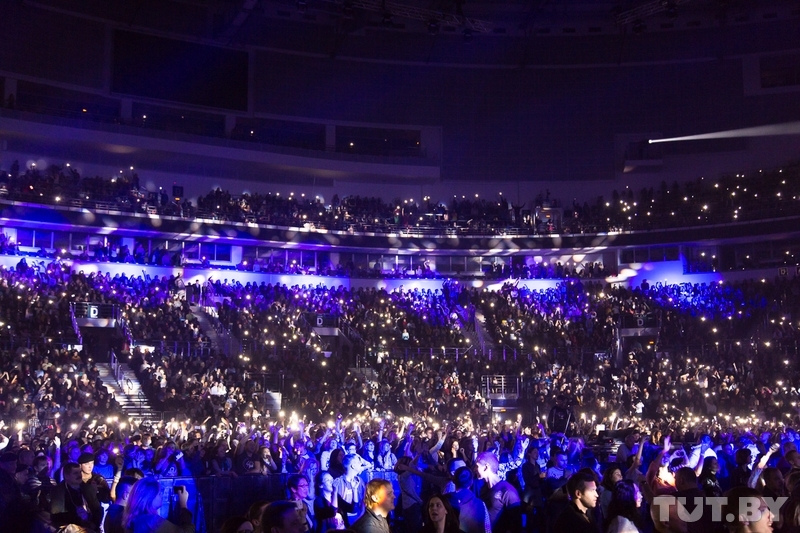 On 21 November they played a gig at the largest concert hall in Minsk -- the Minsk-Arena, which holds a total of 15,000 people.
.@BelarusMFA Калегі, гэта нармальна? - https://t.co/xtXxqIHseu Няўжо ўкраінскі сцяг забаронены ў Беларусі? Another remarkable case of pro-Russian symbol restriction occurred back in November 2012, when the Mahilioŭ local authorities forbade the organisers of “Slavic March” to use a black-yellow-white flag - the traditional symbols of Russian monarchists and nationalists. In effect, this means that the authorities are restricting not only the symbols of the democratic opposition but every other dubious political symbol that they cross.